Nestled in the spiritual homeland of the Basotho people, Thaba Nchu, Free State, Naledi Sun Casino is a fantastic retreat. Naledi, which means star in seSotho, is part of the Sun International Group. And it is a star in the pastoral lands on the Free State province. Sun International is known for its world-class facilities and friendly service. It offers its guests a great secluded getaway from the bustle of the city life. For its size, Naledi Sun Casino offers some great gambling entertainment. Although the casino doesn’t have any table games, there are 150 slot machines to choose from. Betting ranges start from 1c to R5, so anybody can enjoy the experience. Players can also play at one of the seven in-house progressive jackpot machines where they can walk away a millionaire. The slots are divided into smoking and non-smoking areas for the comfort of guests. Naledi Sun is a coinless casino so gamblers make use of SmartCard technology to place bets and cash out their winnings. The casino is open between 09:00 and 02:00 from Sunday to Thursday, and 24/7 on Friday and Saturday. When you visit casino and hotel, guest can become a part of the Most Valued Guest (MVG) Loyalty Programme. This earns guests points when they stay at any Sun International hotel or eat at their restaurants. The more points guests earn, the more exclusive rewards and benefits they get access to. Besides the casino, Naledi Sun also operates a great African-themed restaurant called Kika. It is rated as one of the most popular restaurants in Thaba Nchu. Relaxed fine dining is what guests will experience whether looking for breakfast, lunch, or dinner. There are also conference facilities that can take up to 60 people. 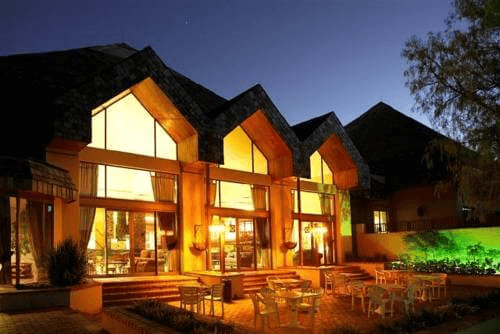 So, the next time you’re looking for a work getaway, consider Naledi Sun. Read more on Free State casinos at Casino ZA.